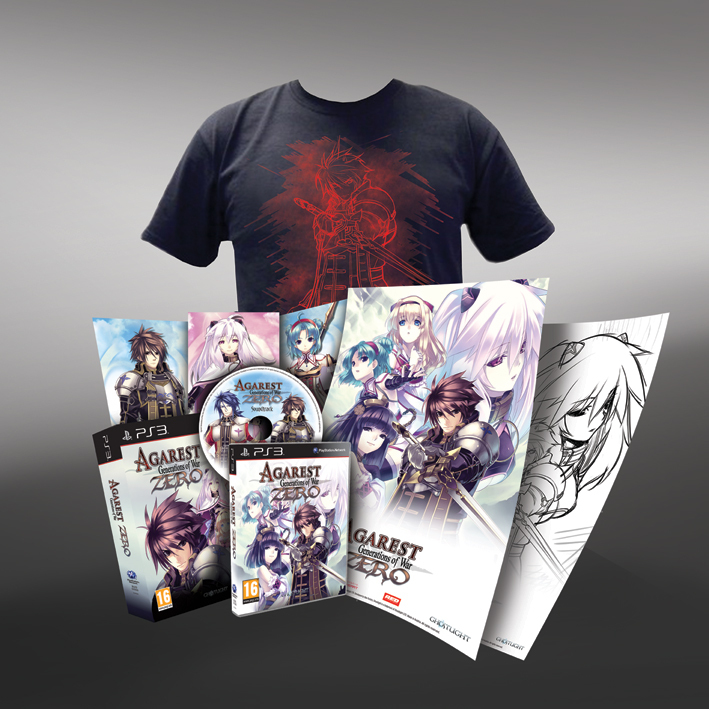 This sort of came out of the blue but it looks like Europe will be getting the Collector’s Edition treatment for the recently announce Agarest: Generation of War Zero. 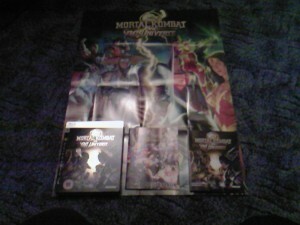 All of this will be packaged neatly in to a Collector’s Edition box. Also if you pre-order the game direct from the publisher (Ghostlight), you have the option to also purchase a Limited Edition Black T-shirt (original design to Ghostlight Smile). 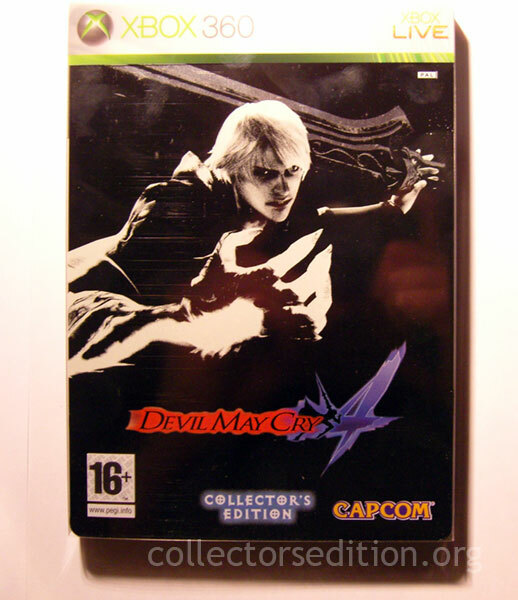 Currently only the PS3 version is confirmed with Ghostlight yet to secure the rights to the Xbox 360 version. As of yet only the UK is confirmed but other European countries are expected to get this, be on the lookout. There is currently no confirmed release date. 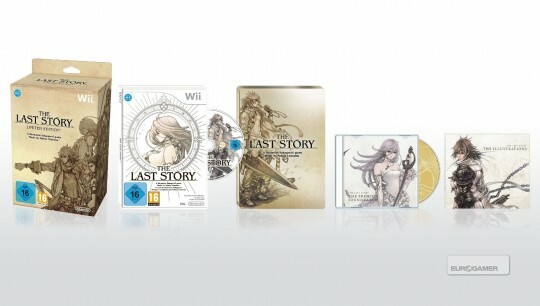 No much is known about the price, or exact release date but they have announced that it will include the original soundtrack, a “desktop accessory pack” as well as the Mega Black Lable DLC which provides and extra stage, character and level 999 difficulty. 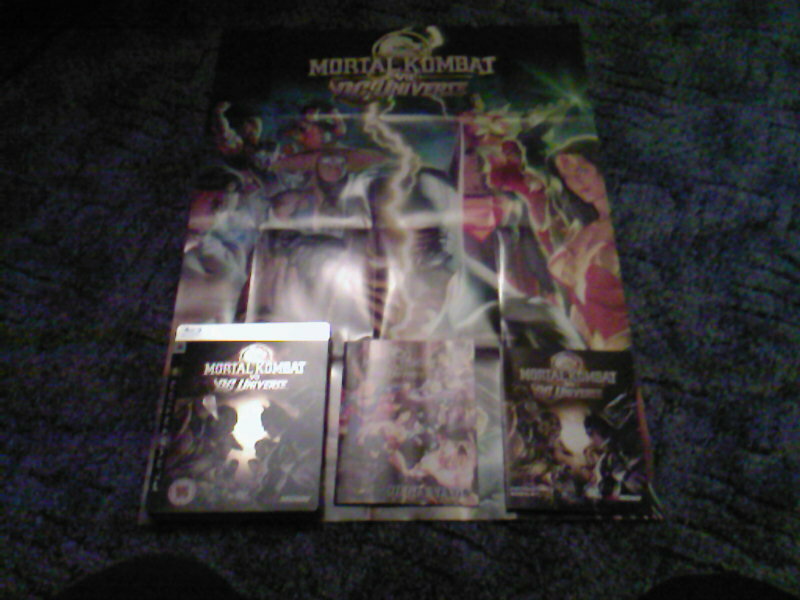 Like the North American release it is Xbox 360 exclusive, also like the standard Xbox 360 release it includes both the original arcade mode as well as the console exclusive v1.1 variation of the game. 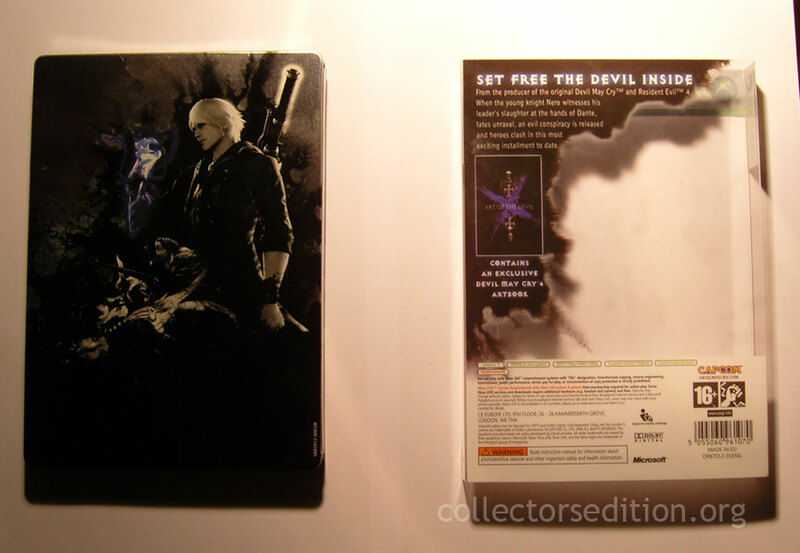 By comparison the North American Limited edition also included the soundtrack and the DLC but instead of a “desktop accessory pack” it featured a faceplate. 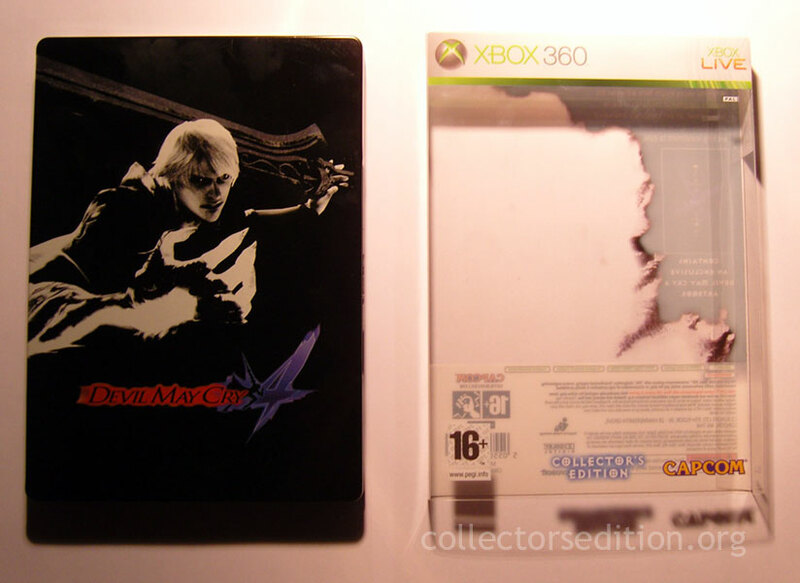 Chances are this was changed due to the release of the slim Xbox 360 which doesn’t feature a removable faceplate. I’d venture a guess that we wont be seeing faceplates included as pack-ins for CEs anymore. 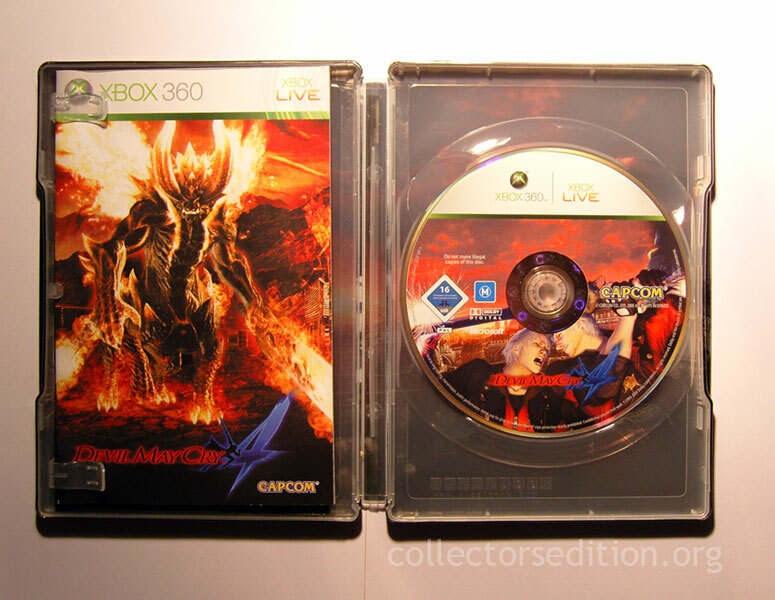 According to Sealed Game Hevean and elsewhere, It would seem that the Xbox 360 PAL Kollector’s Edition of MK vs DC was canceled. Despite the fact that the game has been released the Xbox 360 Kollector’s Edition in Europe mysteriously never made it to store shelves. The PS3 was actually released and there is photographic evidence as well. 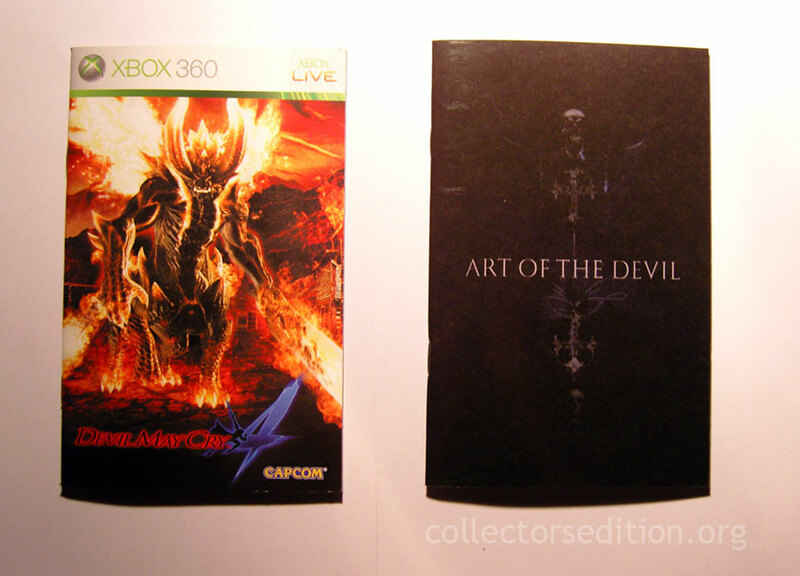 Both the PS3 and 360 release were originally slated to be GAME exclusive releases.